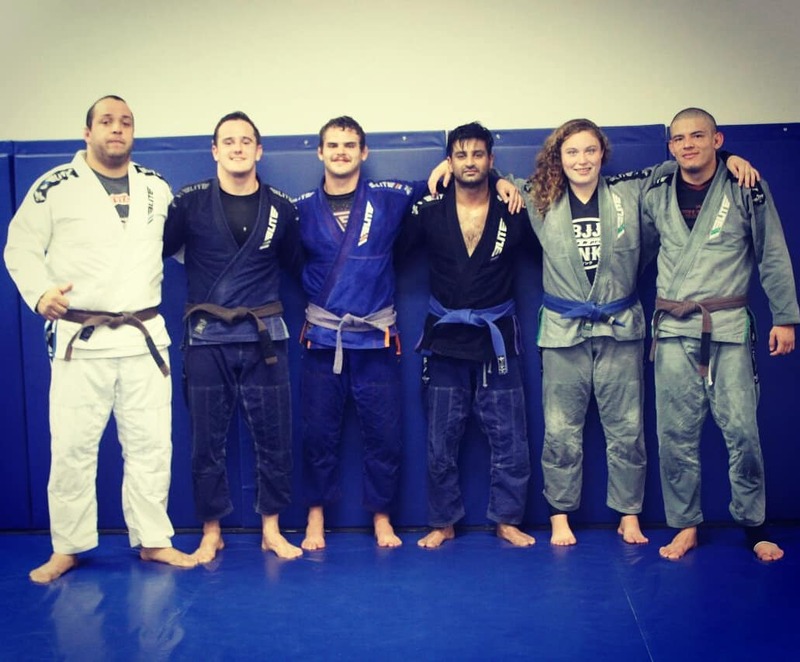 « Whats New At Brea Jiu-Jitsu? Its been a few months since we last updated, so we thought we would dust off our website a bit! 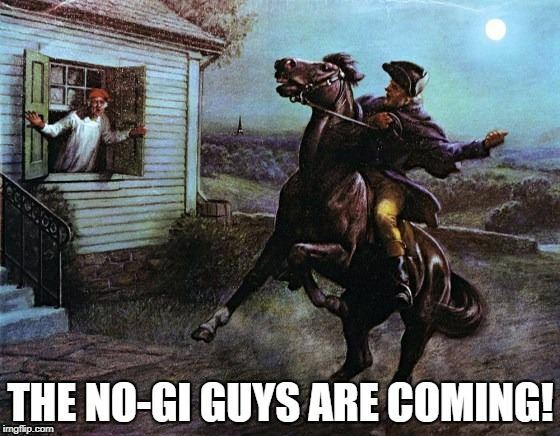 After all, if it doesn’t make it on the internet, it’s like it never happened! 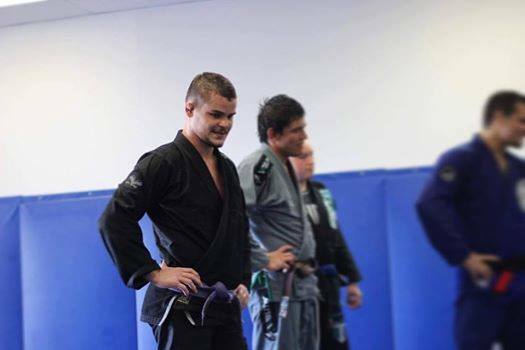 We recently said a temporary goodbye to Pedro Veras, a relatively unknown but elite level purple belt staying and training full time with us for a few months. 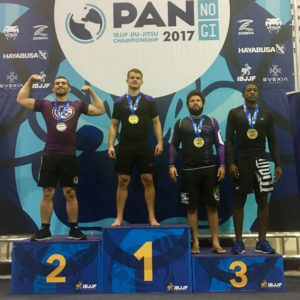 He has not competed in the United States much, so even people who follow grappling closely may not have heard of him. He took advantage of many opportunities to train, compete and advance his career while he was here. Competition wise, the biggest tournament he did was the No Gi Pans which he took first place in the adult middle heavy division. On the left in 2nd place is very well known and skilled grappler Andrew Wiltse. That should give you some indication of his skill set! Career wise, he was able to network and train with the Elite team and gain an important sponsorship. 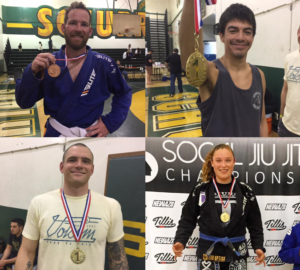 Here is the Brea Jiu-Jitsu Elite Team Sponsored Athletes! On the far left in the above picture is Alicate. 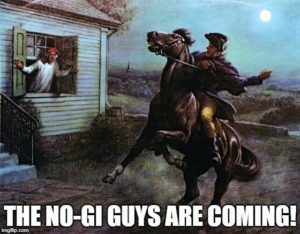 He heard that we were hospitable to visitors through the grape vine and initially was just training on a more temporary basis. He doesnt speak a drop of English, but enjoyed it here so he decided to stay permanently! Hes taking care of the paperwork to extend his stay after his travel visa runs out. He has competed often since arriving. 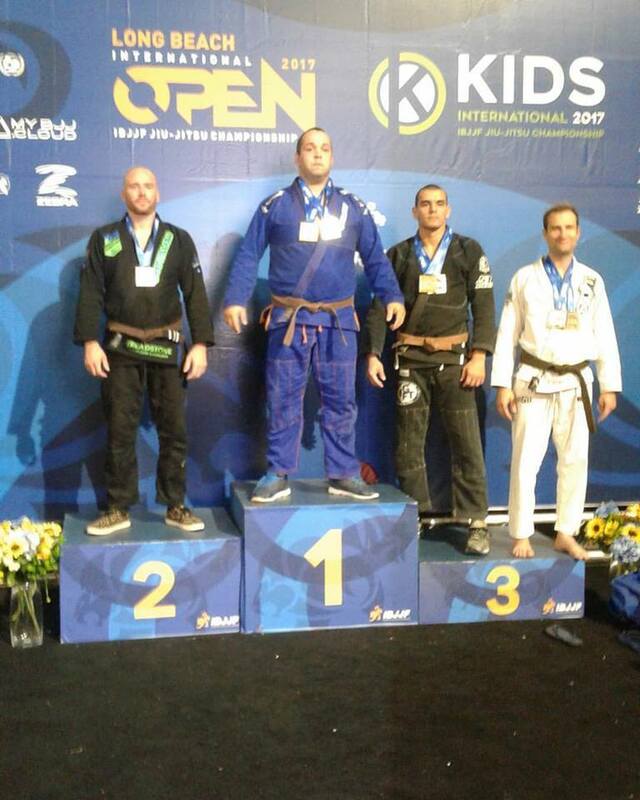 This last weekend Alicate got in his car and drove to Texas and back to compete in the IBJJF San Antonio Open. He brought back with him 2 gold medals! That probably made the 20 hour drive more bearable on the way back! Check out these beautiful foot sweeps he used to win the open weight category. A few weeks back, we took some of our 100% home grown grass fed competitors to the Southern California Jiu-Jitsu Championships. The team went an astounding 10-1. In the lower left corner is Steven Edwards who took home his first 1st place finish. 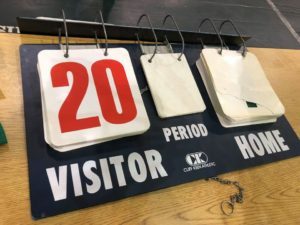 Along the way, he won 1 match by 20 to nothing! 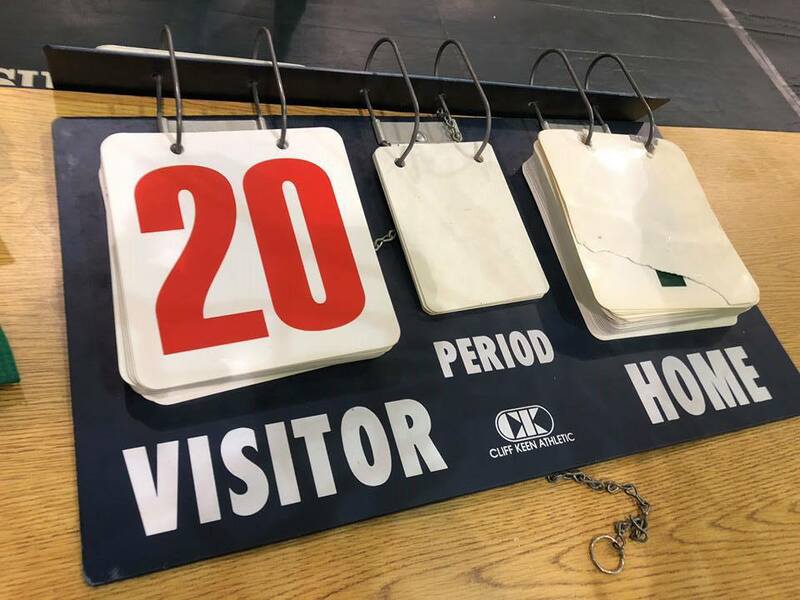 Steven Edwards wins his first match 20-0! Steven competed again past weekend on December 2nd. 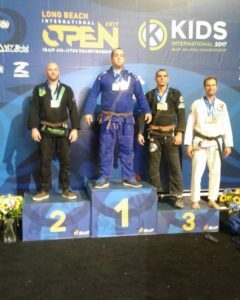 He went 4 matches in and took first place. Here is a highlight of his performance. 15 year old Nolan Stuart has been a member of Brea Jiu-Jitsu since we opened 5 years ago and is one of our top home grown prospects. He signed up for wrestling at Brea High School and competed for the first time this last weekend. He went 5-0! You can see all the influences of his coaching. Omar Gaitan‘s Abus roll, Coach Dan Lukehart’s front headlock to go behind/trip from the rear clinch and a sweet new takedown from Brea Wrestling. Nolan wasn’t the only one who had his first wrestling competition this last weekend! Sar Arellano competed at the same tournament, though for a different high school. He went 4-0! Its worth mentioning that both Nolan and Sar are guard pullers! Despite this, we frequently teach stand up techniques (especially in the kids class from which they grew out of), and every roll at our gym – adults and kids – starts from the feet. 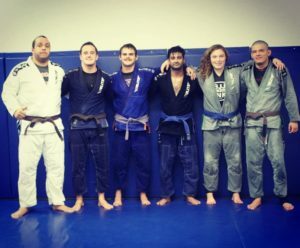 Regardless of your Jiu-Jitsu strategy, it was very important to have everybody comfortable and confident in stand up from day 1 in BJJ so you didn’t develop a phobia of takedowns common in BJJ! Starting rolls on the knees is a no no here. The next several weeks are about to get very busy around here as we welcome top competitors from all over the world as they prepare for no gi worlds held in Anaheim, CA.